In his 26-years in academics, Dr. John Groesbeck has worked in both two-year colleges and had a blended role at universities that award associate’s through master’s degrees in New Mexico, Missouri, and Utah. During that same time, Dr. Groesbeck worked as a faculty member, earning the rank of tenured professor. 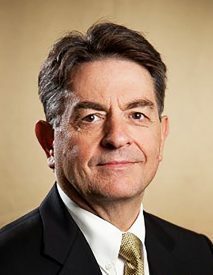 He was also a director, department chair, and for 11 years he was the dean for the College of Business and Technology. While working in higher education as a faculty member and leader, Dr. Groesbeck has been active in outreach and consulting with local, state, and federal governments, as well as private organizations, regarding the financial feasibility and economic impacts of various projects. These projects included real estate development proposals, land-use and water-use policies. He worked on real options analysis, regarding grazing choices for cattle ranchers. He also developed curriculum for improved decision-making and financial literacy for a homeless shelter. Dr. Groesbeck worked internationally representing higher education institutions to establish 2+2 and dual enrollment degree and other programs leading to specialist, certificate, bachelor’s and master’s programs with foreign partner universities. Prior to his career in higher education, Dr. Groesbeck worked as a financial analyst, a regional sales representative, and as a director for the Mainstreet USA project in Deming, NM. Dr. Groesbeck is an entrepreneur and for the last two years, he has been working on a business with his daughter. This business provides training and development and software, to assist other entrepreneurs in establishing independent lines of credit. Dr. Groesbeck holds a Ph.D. in Economics from Utah State University, a Master’s Degree in Economics and Management from Utah State University, and a Bachelor’s Degree in Political Science/International Relations from Boise State University. Dr. Groesbeck maintains work-life balance by building cars, working on houses, and helping others. He plays the guitar, enjoys golf, writes songs, snow skis, and loves motorcycles. Dr. Groesbeck and his wife Janette currently reside in North Ogden, UT. 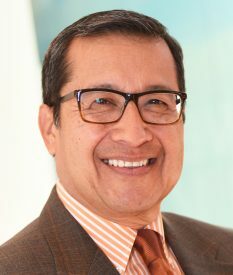 Dr. Robert Munoz serves Tarrant County College Trinity River Campus as Vice President for Community and Industry Education. He is a native of El Paso, TX, who lives in Fort Worth, TX. Prior to moving to Fort Worth in November of 2008, he lived in Odessa, TX. He worked at Odessa College for 16 years and most recently, was the Dean of Workforce and Technical Studies. In 1994, he received the National Institute for Staff and Organizational Development (NISOD) Teaching Excellence Award, which is an organization based at the University of Texas at Austin. In 1998, the management program he chaired was named an exemplary program by the Texas Higher Education Coordinating Board. During his tenure at Odessa College, he served the Texas Higher Education Coordinating Board. Dr. Munoz was a member of the Distance Education Advisory Committee, representing West Texas and was a member of site visit teams, to colleges to review their technical programs. In Odessa, he served on a number of boards. In 2004-2005, he was the first Hispanic to serve as Chairman of the Odessa Chamber of Commerce. In Fort Worth, he served on the Board of Directors of the Fort Worth Chamber of Commerce and is a former Chair of the Central Area Council. He also sits on the United Way of Tarrant County Cabinet, GIRLS INC Board of Directors, Career and Technical Education Advisory Committee of Fort Worth Independent School District and is a member of the Fort Worth Hispanic Chambers Advisory Board to the Chair. He is also the immediate Past President of the Hispanic Wellness Coalition of Fort Worth. Dr. Munoz received several awards in Odessa for his leadership in the community. The Hispanic Women’s Network of Fort Worth presented him with the 2012 Brillo Award. He also received the Hispanic Heritage Award in 2014 from the United Hispanic Council of Tarrant County. In 2015, he was named the Fort Worth Hispanic Chamber Champion of the Year. Dr. Munoz holds a Doctorate in Educational Administration from New Mexico State University, a Masters in Counseling from Sul Ross State University, a Bachelor’s Degree in Criminal Justice from the University of Texas at El Paso, and an Associate of Arts Degree in Management from Odessa College. He is married to Kristi and is father to their daughter Jordan, who is a graduate of Texas State University San Marcos.